The next peak oil myth question that begs to be asked is why so many new reserves are discovered and there is skyrocketing production when we are supposedly running out of oil? Saudi Arabia, for example, continues to increase its reserves of crude oil and earlier this year their reserves hit 200 billion barrels. These reserves are enough not only to keep Saudi Arabia with plenty of oil, but to allow it to be the main producer of oil for at least the next 100 years. 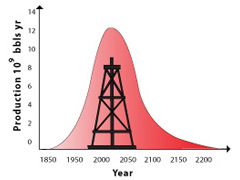 Peak oil refers to the end of petroleum extraction, and simply – running out of oil on the planet. This is talked about more than any other environmental issue in the world. But more and more people are starting to wonder: “Is peak oil a myth?” We think it is, so we’ve come up with 5 reasons why the peak oil myth is not a myth at all. 1) Memos of artificial scarcity. The Foundation for Taxpayer and Consumer Rights was able to obtain confidential internal memos sent between oil giants Chevron, Mobile and Texaco. These memos talk about creating artificial scarcity of oil by closing oil refineries or limiting their capacities. All this was done with the intention of creating an excuse to raise gas prices. 2) Reserves are constantly increased. Posted on June 3rd under Oil Dependency.